Seiobo a Japanese goddess has a peach tree in her garden that blossoms once every three thousand years: its fruit brings immortality. In Seiobo There Below, we see her returning again and again to mortal realms, searching for a glimpse of perfection. 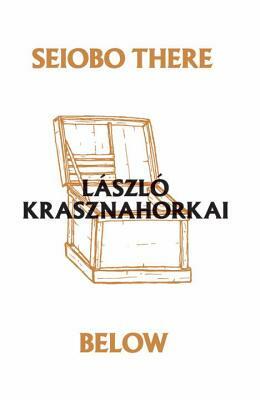 Beauty, in Krasznahorkai's new novel, reflects, however fleetingly, the sacred even if we are mostly unable to bear it. Seiobo shows us an ancient Buddha being restored; Perugino managing his workshop; a Japanese Noh actor rehearsing; a fanatic of Baroque music lecturing a handful of old villagers; tourists intruding into the rituals of Japan's most sacred shrine; a heron hunting. Over these scenes and more structured by the Fibonacci sequence Seiobo hovers, watching it all.